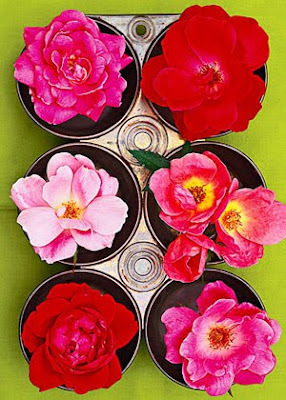 Garden-fresh blooms from Country Home. 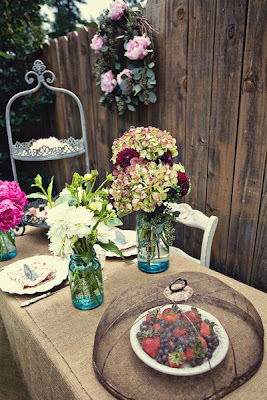 I love the idea of using and unexpected everyday item to display flowers in. Mix this with miss-matched dishes and what a stunning table you would have. 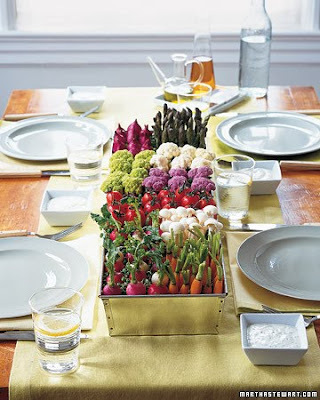 I love these two centerpieces from Martha Stewart. What a great way to use what we have growing in our gardens. 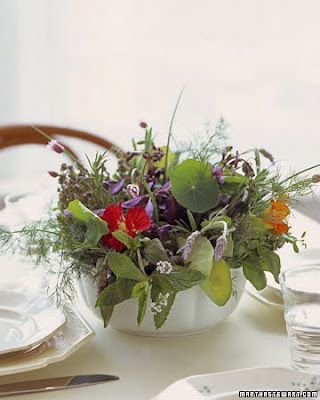 Below is a bowl with an arrangement of herbs and wildflowers. 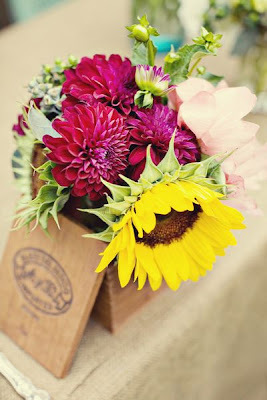 Creative garden centerpieces from Ritzy Bee and Open Air Photography. 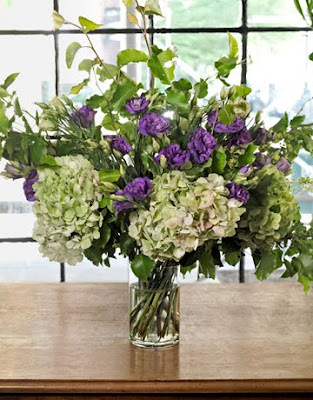 Arrange Flower Like a Pro from Country Living.